A group of women are transforming treasured wedding gowns into beautiful “angel dresses”- made for babies who pass before making it home from the hospital. The heavenly idea was thought of by Lisa Grubbs, the wife of a specialist for premature babies in Fort Worth, Texas. The project upcycles a symbol of love, the wedding dress, into a garment worn by a life cut too short. Mrs. Grubbs was inspired to start the angel gown project when she learned through her husband that babies who sadly passed were usually wrapped in hospital blankets or towels before being released to their families. Feeling that this process should instead be a sacred event, she started by transforming her own wedding dress into gorgeously detailed gowns for the babies to be laid to their final rest in. Inspired, Grubbs began a call for more wedding dresses, eventually calling in a team of volunteer seamstresses to help turn the donated wedding gowns into tiny angel gowns. The gowns the women create are then donated to Neonatal Intensive-Care Units across the country. The gowns resemble christening gowns, creating a momentous occasion for one that would be missed. Each donated wedding dress can be made into twelve or more gowns, which utilize the lace, appliqués and beading intended for the bride to make the pieces special. 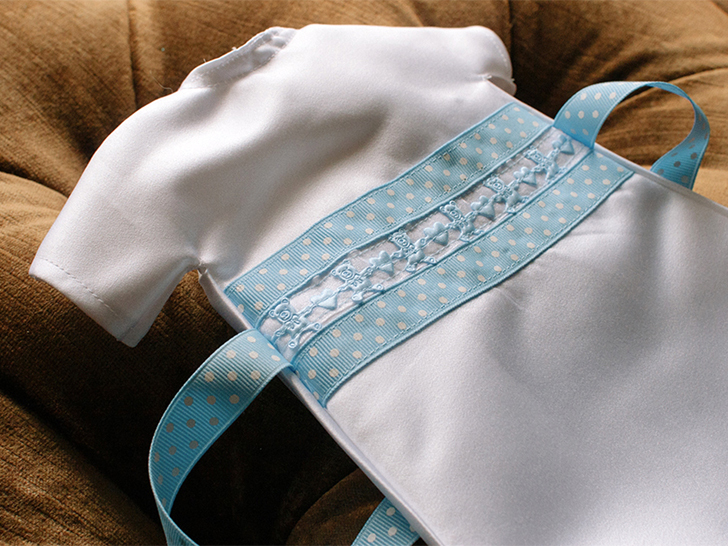 By giving these babies a unique and beautiful resting garment, Grubbs feels she is giving parents the solace that their child’s life had meaning, with something special just for them. Grubbs has spurred inspiration in other women across the country, including Michelle Matthews, who runs Angel Gowns by Michelle. Both organizations give parents a moment of peace during the grieving process. 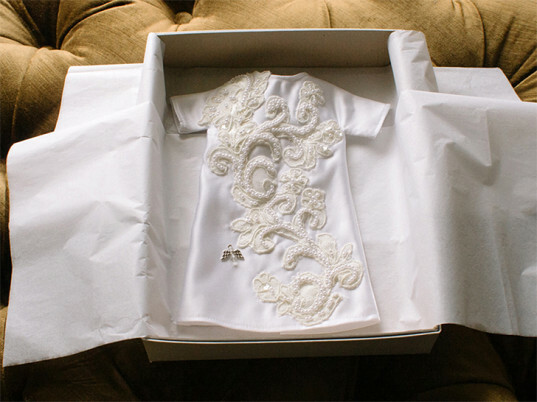 A group of women are transforming treasured wedding gowns into beautiful �angel dresses�- made for babies who pass before making it home from the hospital. The heavenly idea was thought of by Lisa Grubbs, the wife of a specialist for premature babies in Fort Worth, Texas. The project upcycles a symbol of love, the wedding dress, into a garment worn by a life cut too short.